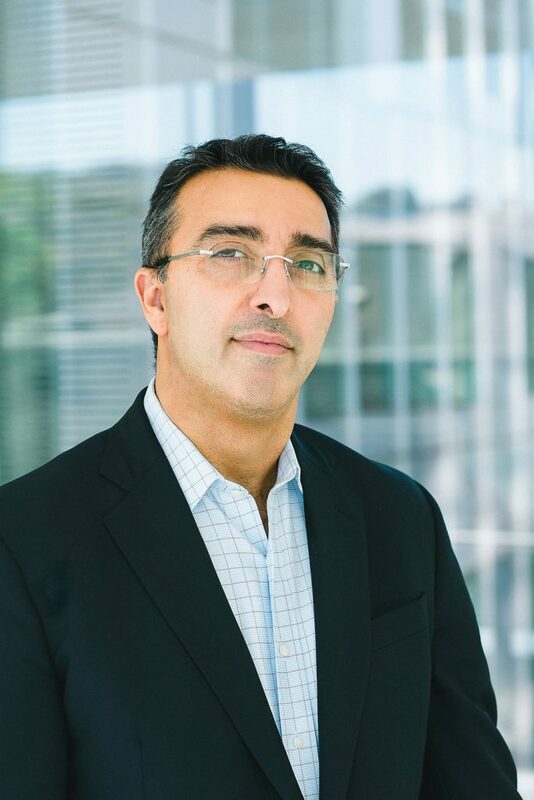 Omid Farokhzad is a Professor at Harvard Medical School (HMS) and a physician-scientist in the Department of Anesthesiology at Brigham and Women’s Hospital (BWH). Dr. Farokhzad established and directs the Center for Nanomedicine at BWH. He is a faculty member of the Brigham Research Institute Cancer Research Center and the Dana Farber/Harvard Cancer Center. Dr. Farokhzad and his team of scientists have developed a myriad of nanotechnologies for medical applications. He has authored more than 160 papers (>46,500 citations; H-Index 89; April 2019) and is an inventor of more than 200 issued / pending patents worldwide. The technologies that Dr. Farokhzad and colleagues have developed formed the basis for the launch of 4 biotechnology companies: BIND Therapeutics (clinical stage public company acquired by Pfizer), Selecta Biosciences (clinical stage public company), Tarveda Therapeutics (clinical stage private company) and Seer (clinical stage private company). These companies are translating the aforementioned academic innovations toward commercialization and societal impact. Dr. Farokhzad has served in various capacities on the Executive team, Board of Directors, and the Scientific Advisory Board of these companies. Dr. Farokhzad was inducted in the National Academy of Inventors in 2018, and the College of the Fellows of the American Institute of Medical and biological Engineering in 2012. He was a recipient of the 2013 RUSNANOPRIZE, one of the largest international nanotechnology prizes, for the development and industrialization of nanoparticle technologies for medical applications. In 2014, he received the Golden Door Award from the International Institute of New England for his societal and economic impact as a naturalized USA citizen. In 2015, he was named as one of The Worldview 100 by Scientific American, which recognized visionaries who shape biotechnology around the world. In 2016, he was among the recipients of the Ellis Island Medal of Honor for his scientific, societal and economic contributions to America as an immigrant. He was selected by Thomson Reuters among the Highly Cited Researchers in 2014, 2015, 2016, 2017 and 2018. The Boston Globe selected him among the top innovators in Massachusetts and the Boston Business Journal selected him among the Health Care Champions for his innovations. In 2012, he was among the regional Ernst & Young Entrepreneur of the Year awardees. He serves on numerous editorial boards including as Associate Editor of ACS Nano (impact factor ~14). Dr. Farokhzad completed his post-graduate clinical and post-doctoral research trainings, respectively, at the BWH/HMS and MIT in the laboratory of Institute Professor Robert Langer. He received his M.D. and M.A. from Boston University School of Medicine and his M.B.A. from the MIT Sloan School of Management.